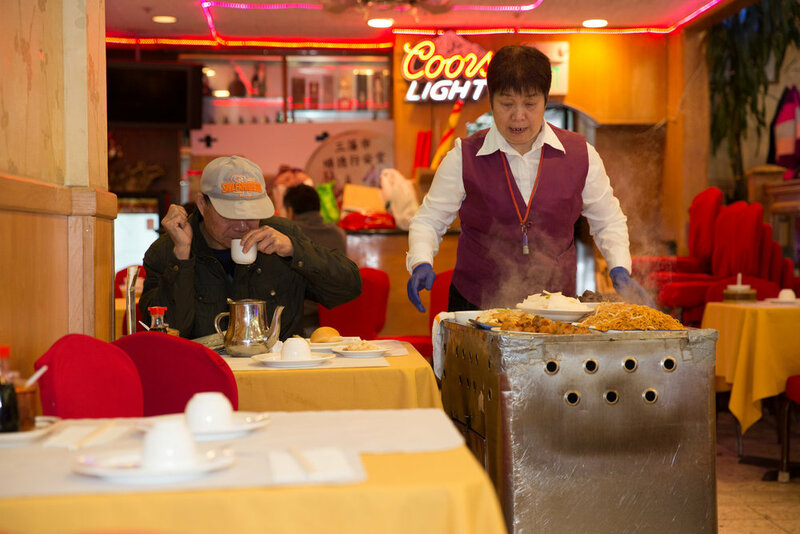 New Asia 新亞洲大酒樓 is one of the last pushcart dim sum restaurants in Chinatown. Diners, often in noisy family groups, fill the hall on weekdays and weekends in the mornings through mid-afternoon. 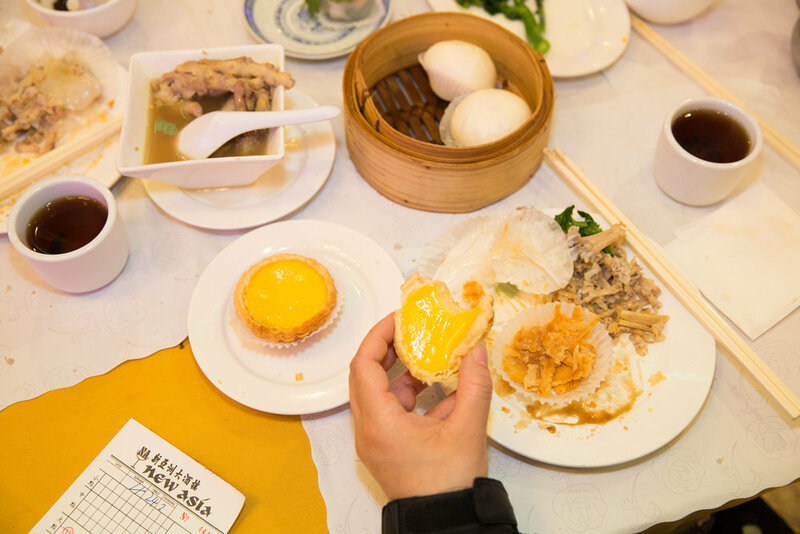 A signature cuisine from the Guangzhou region of China, dim sum features small plates and bite-sized morsels – savory and sweet dumplings, braised spare ribs, buns, and sesame rolls all delivered to tables by staff calling out the contents of their carts. New Asia offers a sampling of sweets like Malay sponge cake, a steamed fluffy confection lightly flavored with soy sauce, to flaky dan tats or egg custard tarts brought by the Portuguese when they arrived in Hong Kong, from deep-fried sesame balls filled with red-bean paste or geen dui, to steamed, white-sugar cakes or bak tong go. New Asia also hosts large scale banquets and weddings, where multi-course meals are finished off with steaming hot soup of sweet red bean or hong dow sa or green bean or look dow sa. Signature items: Dim sum served on pushcarts include sweet tofu pudding or tofu fa, malay sponge cake, and fried durian puffs. Hours: Monday – Saturday 10 am-3 pm, 5 – 10 pm; Sundays 9 am-3 pm, 5 – 10 pm.